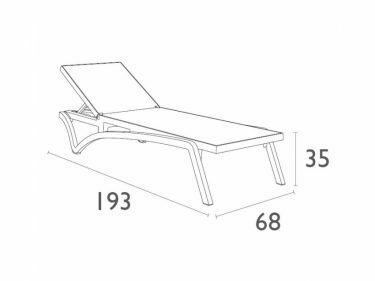 Pacific Sun Lounge is stackable, comes with non-slip feet and small wheels and the back reclines in five positions. 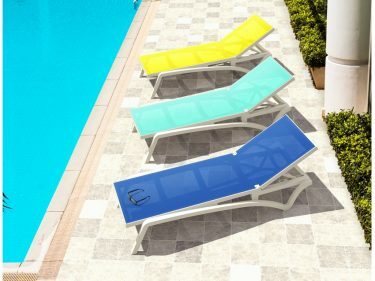 Designed for outdoor use, UV stable and weather proof, it will not fade or go brittle in Australia’s harsh outdoor conditions. 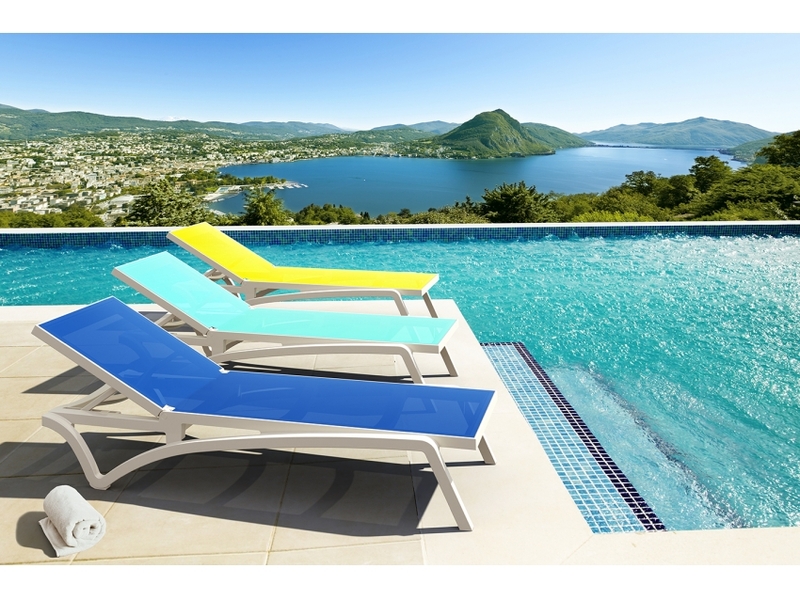 The Pacific Sun Lounge is made up of an injection moulded frame with a very durable breathable synthetic fabric sling. The non-metallic frame won’t rust or decay, and it is reinforced with glass fibre to add strength and boost weight capacity. *Please note that pricing is for Retail orders only. For Commercial pricing – call us on (07) 5521 0550 or complete enquiry form below. A competitive priced INDENT ORDER is available on this Pacific Sun Lounge.